Donations for the local Albany Park Community Center kicked off this week. Donation boxes have been set up by the entrance to collect school supplies for the coming school year and will be there through the end of August. Cash donations are also accepted in exchange for raffle tickets for the raffle at the summer luau-themed barbeque on Friday! 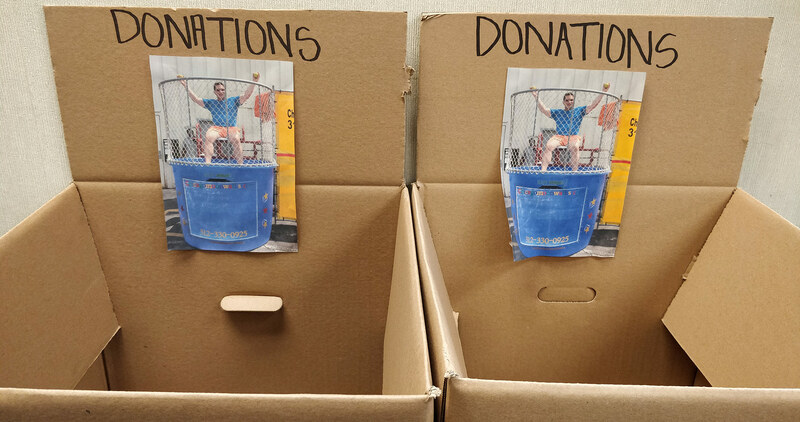 And if you really want to see your dollar at work, why not donate to dunk your favorite manager in the dunk tank this Friday? Balls can be purchased 3 for $1. All proceeds will go to the Albany Park Community Center.